How to send New Year wishes to your clients? The New Year is fast approaching and it's time to send the yearly greetings. You are an entrepreneur having clients at local as well as foreign locations. You want to wish them New Year greetings while reiterating the excellent rapport you shared with them throughout the previous year. With the advent of internet and instant messaging, there are a numerous platforms for you to send seasonal and New Year greetings. You can select one or use a combination of various messaging services. 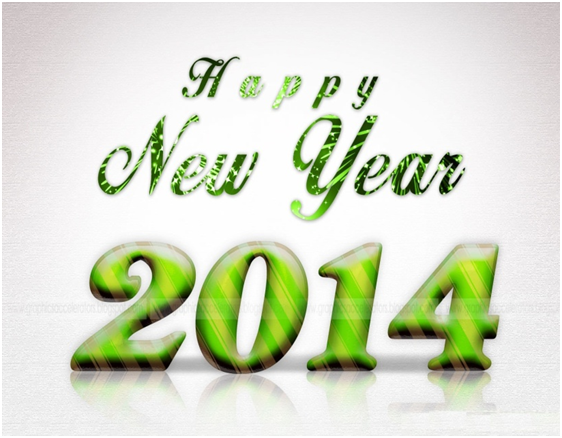 To send a professional New Year greeting is quite different from sending personal ones. The major difference is in the use of your English vocabulary skills. Below, you will find tips to send messages via email, SMS, WhatsApp and social media. If you know your clients personally, then you can take the liberty of sending New Year greeting cards or posts to their homes. Otherwise, it is best to send your greetings / gifts to your client's office. The primary difference between social greetings and business ones is that business seasonal greetings are more structured and tailored towards the client's business. The messages tend to be brief and in a formal language. Situation: Your have a client located in Argentina for your steel supplying business, Annapurna Steel. You plan to send New Year wishes. 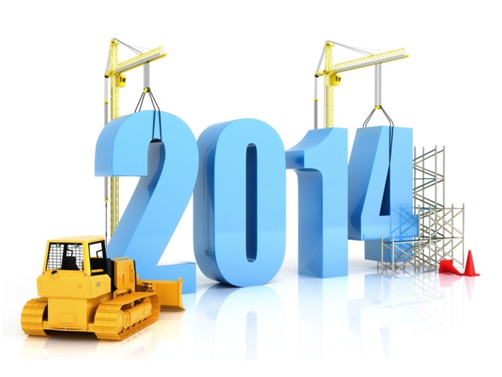 We are grateful for our association with you in 2013, and we look forward to share the bond in the New Year. Happy 2014! Even though SMS messages tend to be short, it is a good idea to use full English words. Clients appreciate personalized SMS. At present, WhatsApp is the global leader in instant communications. The ability of sending customized images, emoticons and messages in unmatchable. You can send New Year Wish images along with a personalized message. Making a stop along the way is necessary in our lives as it gives us the opportunity to analyze what we have done and if necessary, consider new goals. Let the New Year bring an opportunity to renew our energies and achieve success. Annapurna Steel wishes you a very Happy and Prosperous New year! Sending New Year greetings via Facebook is a global trend. However, you should use the messaging services instead of posting on the client's business page wall. Twitter and other short message social services are generally not used to wish New Year. Wish you a Happy New Year and all the best for new ventures. You can even add personalized text images for a more creative effect. 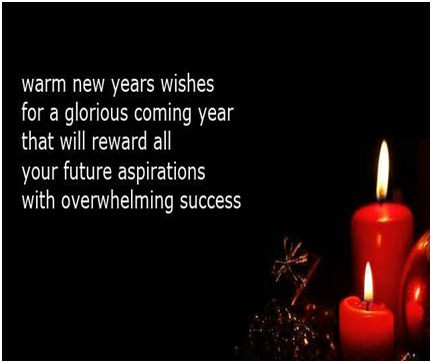 The above sample shows the best way to send New Year wishes to your clients. For a professional New Year greeting, it is important to work upon your fluent English skills. To soar high in the corporate ladder, improve your spoken English with the help of an online English tutor. 1. Tips to make a first good impression on foreign coworkers. 2. How to navigate and buy essentials in a supermarket in a foreign country? 3. How to politely accept or decline an appointment request? 4. How to write an application for a loan?